The Air Accident Investigation Branch confirmed the sighting on Monday. Rescue teams are now developing a recovery plan for the plane, which is 67m (207ft) below water. The man who found it said it was "imperative" it was raised from the seabed soon. "There's a much greater chance they (the Sala family) will get answers if (the plane is) recovered," said shipwreck hunter David Mearns. He added their "worst fears are confirmed", saying: "It's going to take a long time for them to come to terms with the loss." 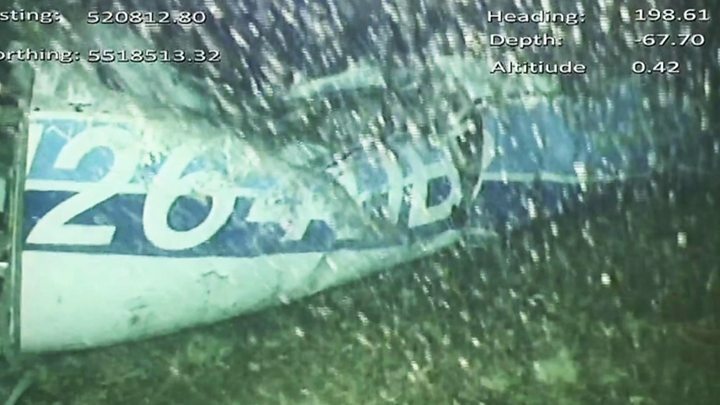 A body has been seen in the underwater wreckage of the plane that was carrying footballer Emiliano Sala and pilot David Ibbotson. Who is Emiliano Sala ? Why was Search for the missing player stopped? The Plane carrying Emiliano Sala from Nantes to Cardiff disappeared, after Sala completed his £15m move to Cardiff City. The "substantial amount of wreckage" of the plane, was found on Sunday morning after Mr Mearns' privately-funded search began. He said lifting the plane was now the most important task. Mr Mearns added: "(The AAIB) will be able to rule things out or rule things in, that's the normal investigative process for any crash, so I think it's imperative that the plane is recovered, and now even more so now we know someone is down there." The recovery operation would need to take place in "slack water" - the point at which the tide is turning, he added. It would be conducted by a Ministry of Defence salvage marine operations vessel and Mr Mearns said one equipped for working in the North Sea with a dive support vessel would be able to lift the plane "within a matter of days". Video footage recorded using a remotely operated vehicle (ROV) showed one person in the wreckage. The AAIB said it was consulting with the missing men's families and police about the next step and intends to publish an interim report in the coming weeks. 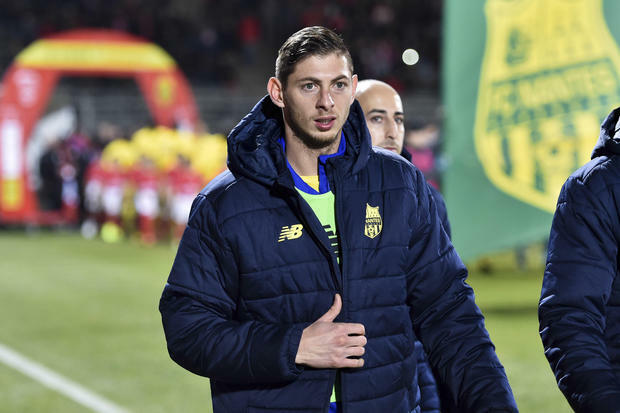 An online appeal started by Sala's agent had raised £324,000 (371,000 euros) for the private search, which Mr Mearns offered to help with. Working jointly with the AAIB, his ship and another search vessel, the Geo Ocean III, began combing a four square mile area of the English Channel, 24 nautical miles north of Guernsey. Speaking on Radio 4's Today programme on Monday, Mr Mearns said the plane was identified by sonar, before a submersible with cameras was sent underwater to confirm this. Meanwhile, Cardiff City football club said it was "actively considering" what to do with the tributes to Sala and Mr Ibbotson, from Crowle, Lincolnshire, which have been left outside the stadium. A growing number of items, such as scarves, flowers and football shirts, have been laid around the statue of the club's FA Cup-winning captain Fred Keenor over the past two weeks. A spokesman said it will make a decision soon. There were emotional tributes to the footballer as Cardiff played their first home game since the disappearance on Saturday. The club's manager, Neil Warnock, said he felt Sala was "with" his team as they beat Bournemouth 2-0 in the Premier League.